Are you an audiologist, a supplier of hearing aids, a doctor or in the medical field. You don't need to have boring advertising campaigns when you can use our fun stress toys to create a trendy vibe around your brand. 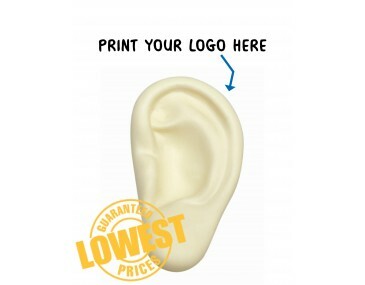 Brand this cute ear with your company logo and graphics and give them to patients and clients as fun freebies. They are made from a pliable material that can be squashed and squeezed, making them perfect stress toys. Bash it and squash it, get rid of pent up stress in the workplace and at home. It is ideal to use at your desk, in a meeting or in the car while stuck in traffic. Stress is a huge factor causing illness and lost productivity in the workplace and you can go a long way to helping solve this problem in a fun way. Let us brand your personalised company logo onto the ears. Our listed price includes branding of your logo or graphic in a single colour print. Please note that our prices exclude GST and a print set up of $75 applies. We offer a product turnaround time of two weeks, but we can offer even faster turnaround times for urgent orders. Create a buzz when you give your clients these fun freebies at your next event. People are sure to listen and pay attention to your brand. This product is supplied in bulk quantities, making it ideal for large promotions. 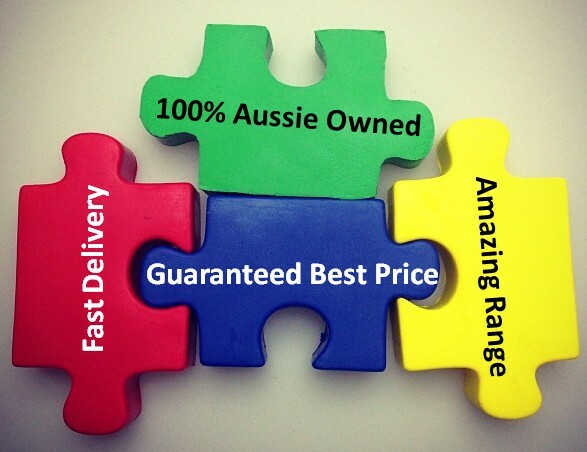 This product is stocked and branded in Australia and is available for delivery within Australia only.